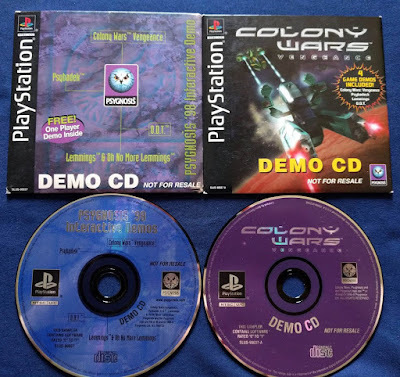 Collecting PSX USA demos can be a tricky thing, there are many of them - and at least several dozen of them are rare. Unlike PAL region PSX demos, rarity comes at a high price. Fortunately I was able to get these at a good enough deal and can probably flip them at a couple dollars profit. So what makes these rare demos particular? Despite the different look, they have the exact same content. 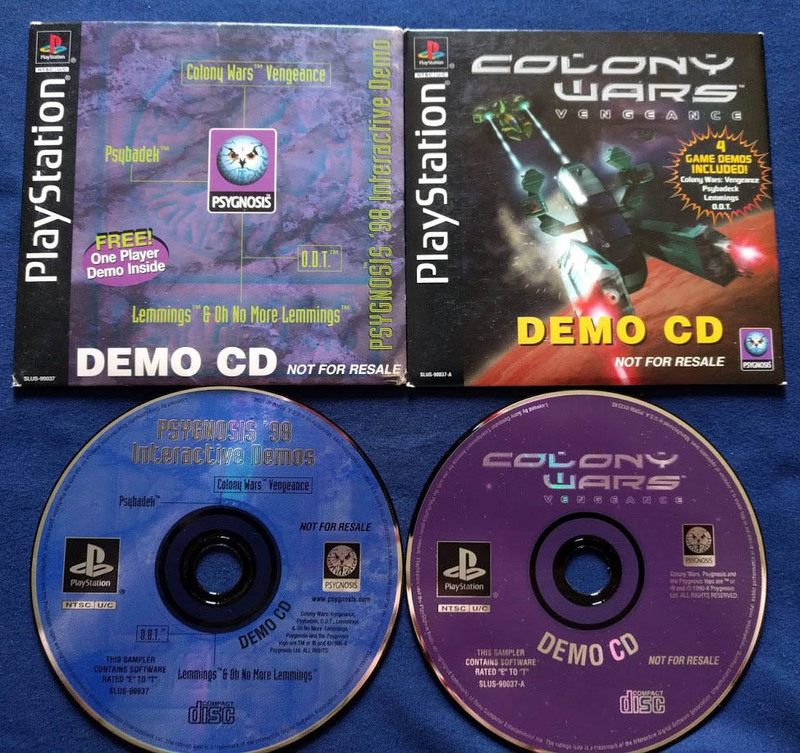 The titles are: Psygnosis '98 Interactive Demo/s [SLUS-90037] and Colony Wars: Vengeance [SLUS-90037A]. Checksums have matched, four demos by Psygnosis. Now that both demos are dumped, the verify variant will be added to redump.org as well soon.